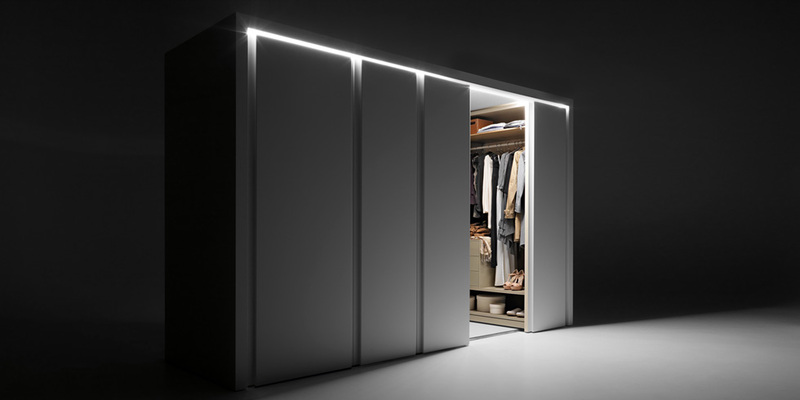 The sophisticated shapes and painstaking care for technical details make Binaria the ideal solution for both public and private environments, even for new and unusual uses. 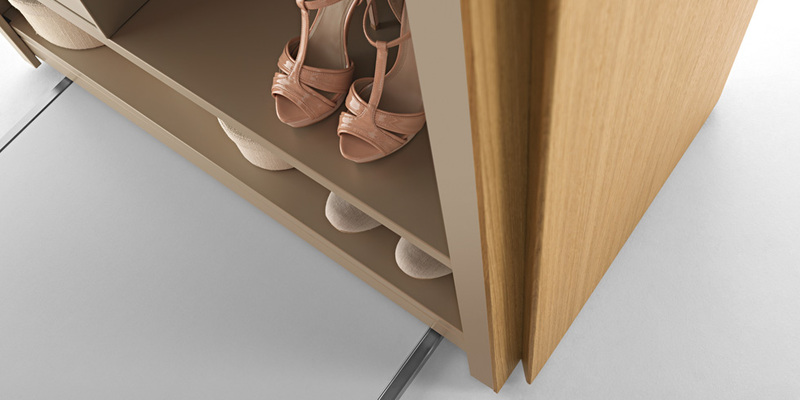 The ergonomic recessed groove handle on the modules, which is achieved by removing some of the material from the décor panel, is the characteristic styling detail which sets out this system from the other collections available on the market today. 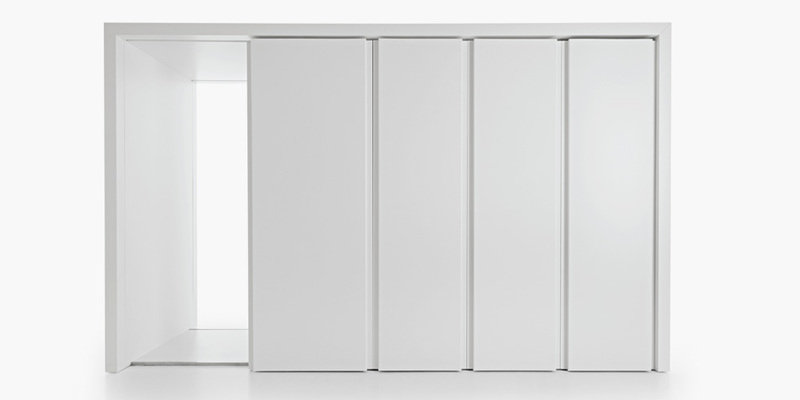 In the version with the upright frame, Binaria truly becomes a small interior architecture, which plays the starring role of its setting. 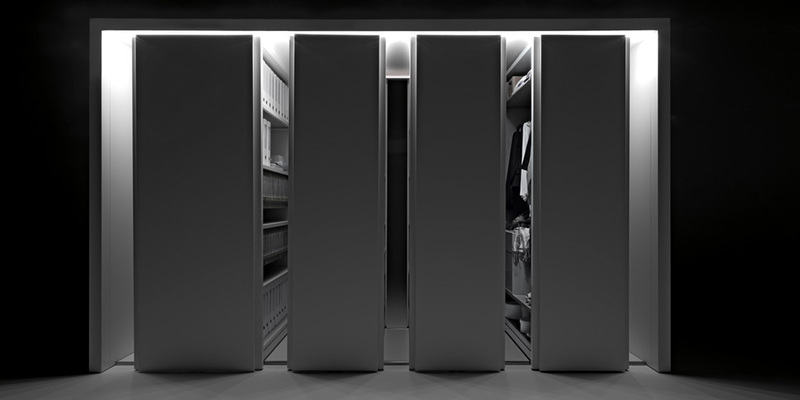 Compared with the traditional solutions provided by static shelving solutions, Fantin mobile shelving systems considerably increase the storage capacity for an equivalent use of space. 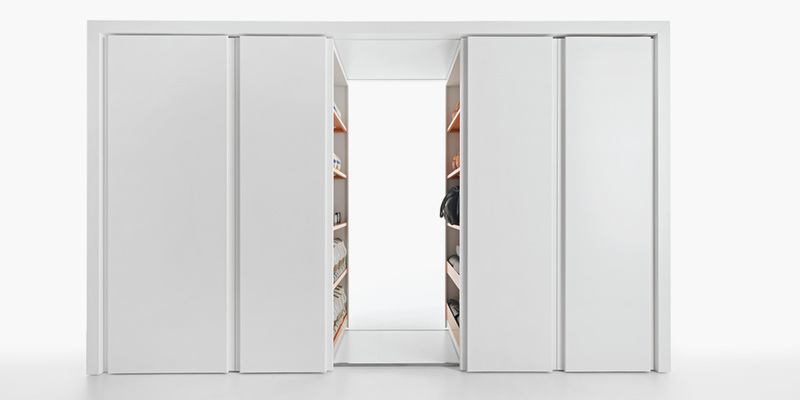 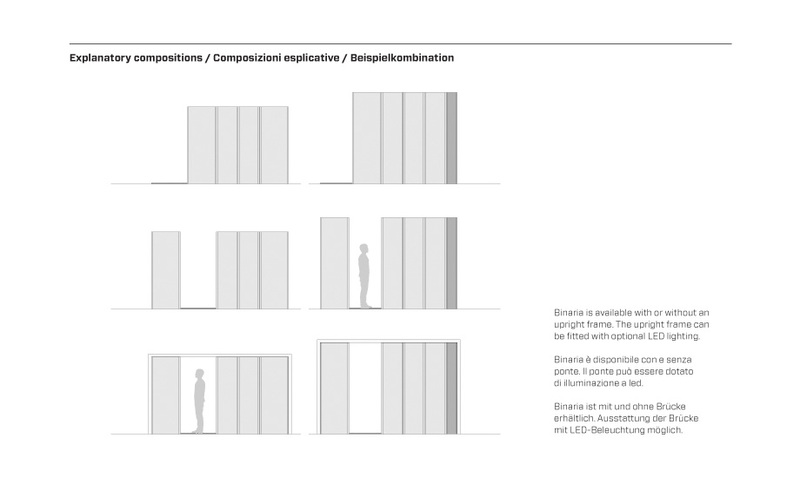 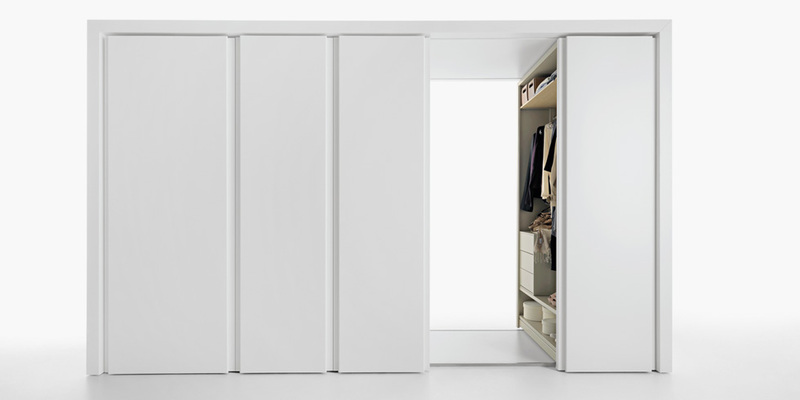 Indeed, by displacing the modules, entrance corridors open up allowing access to the internal storage compartments. 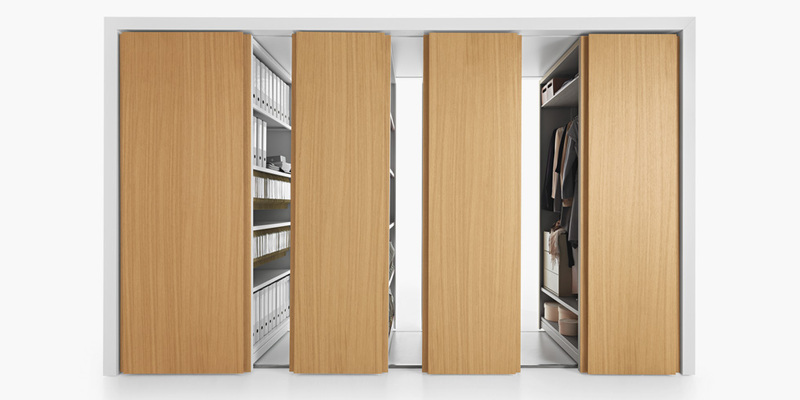 Furthermore, the unique storage system permits a more rational and well-ordered organisation. 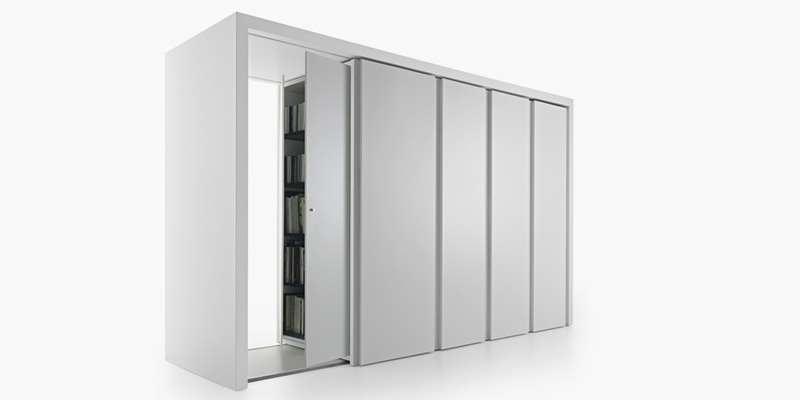 The modules slide along solid rails, effortlessly and without vibrations, whilst security is guaranteed in each sliding shelving unit by an anti-overturning system. 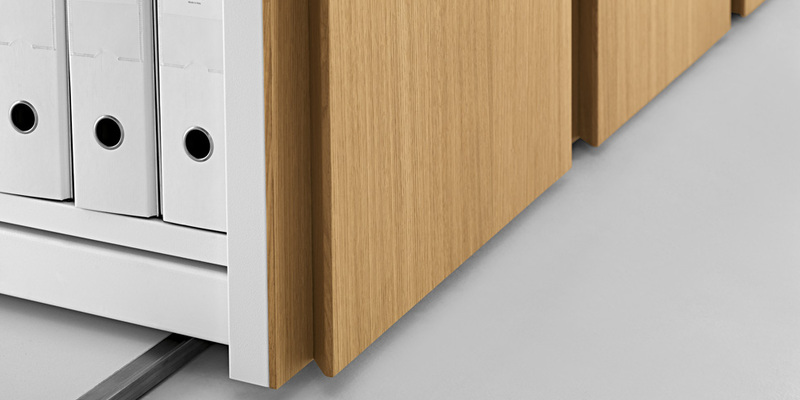 The superior mechanical properties of the units, which are engineered and produced internally within the company, ensure an exceptionally long product life, as demonstrated by the first systems that were sold during the ’80s and which are still in use today. 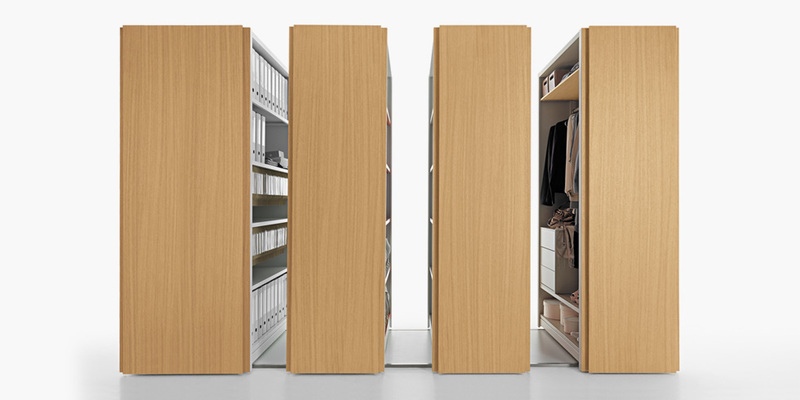 A closed mobile shelving system allows the prevention of access to archived objects and documents by means of a single lock, which is placed on the final sliding module. 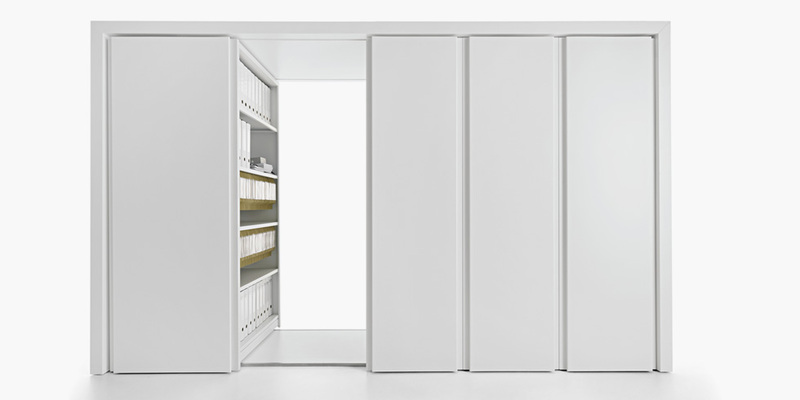 This important characteristic permits a rapid securing of the contents, replacing the need to close several traditional cabinets or the requirement to enclose the units in a secure area dedicated to archiving. 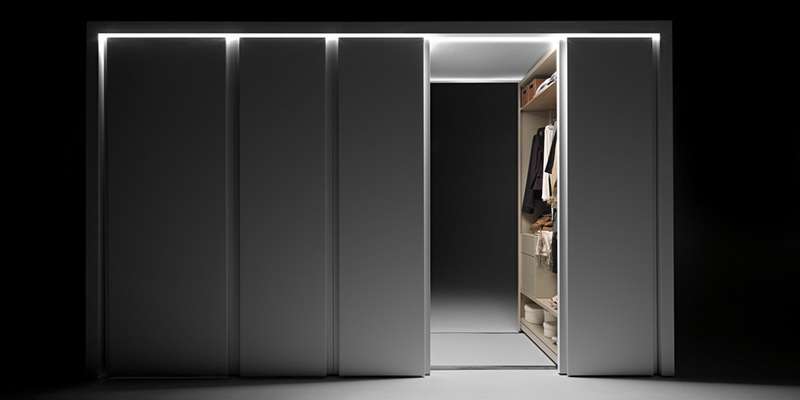 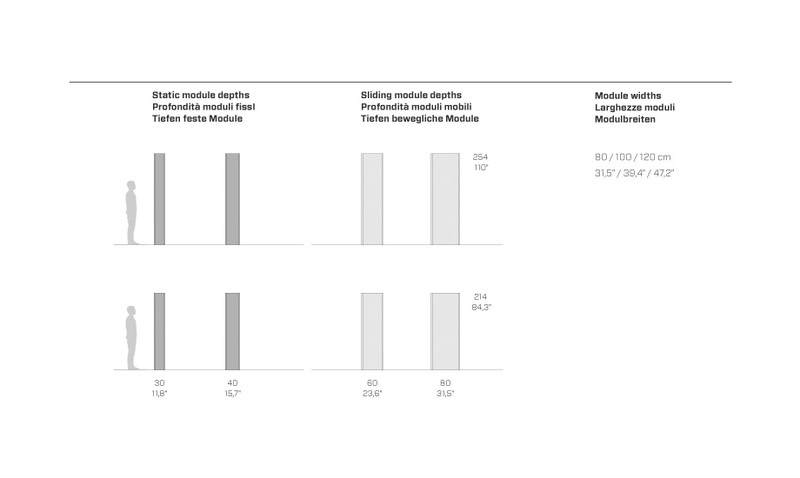 The availability of modules of various heights and depths enables the user to optimise the use of the space to be fitted out. 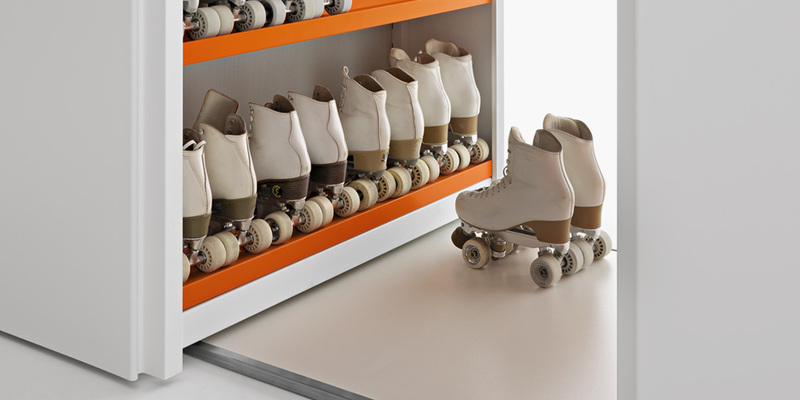 Indeed, flexibility is one of Fantin’s strong points: its technical department makes it possible to adapt the systems to any available space, even when it is encumbered by pillars, obstacles or layout constraints. 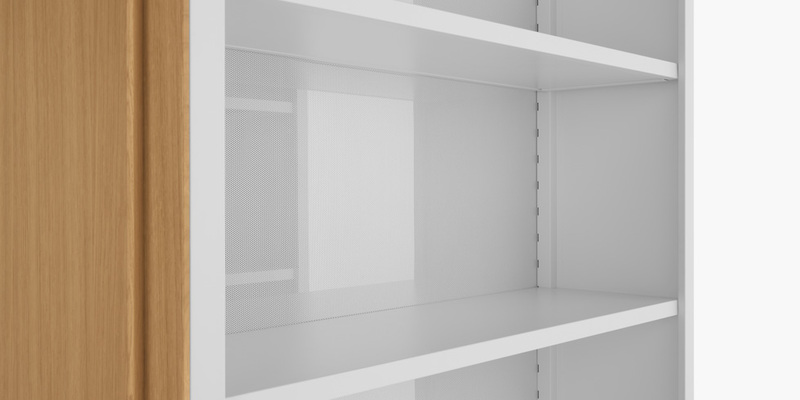 Fantin mobile shelving systems are fundamental in form and attentively designed in the slightest detail, including internally. 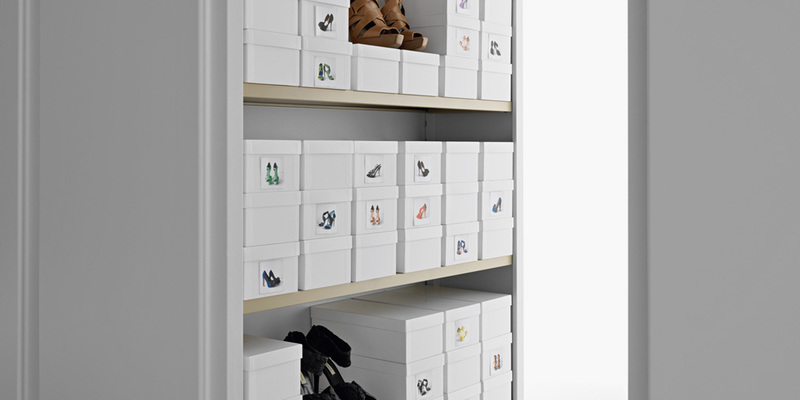 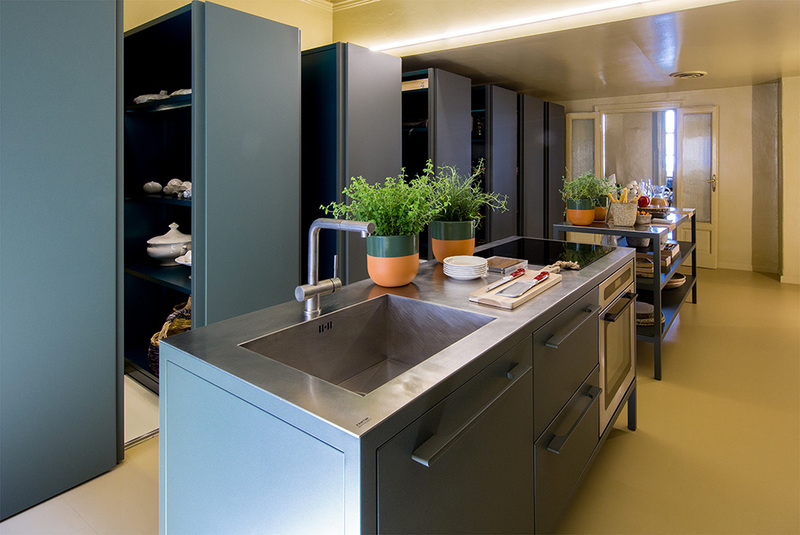 The customisation of each module is made possible by the vast range of shelves and accessories developed over the years, including as a result of specific requests from customers. 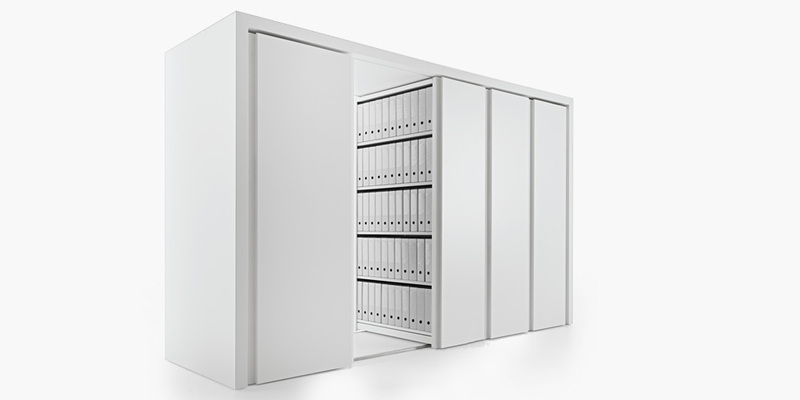 It is therefore possible to engineer novel design solutions, in response to specific storage requirements. 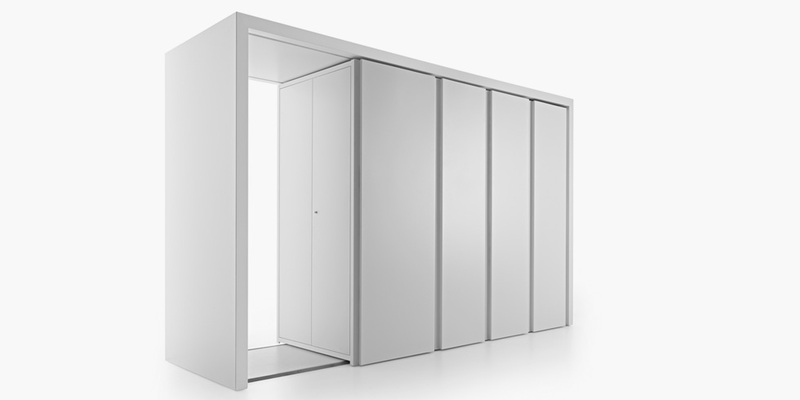 Fantin covers usage requirements in all types of environment: from office to home, as well as for communities and industry. 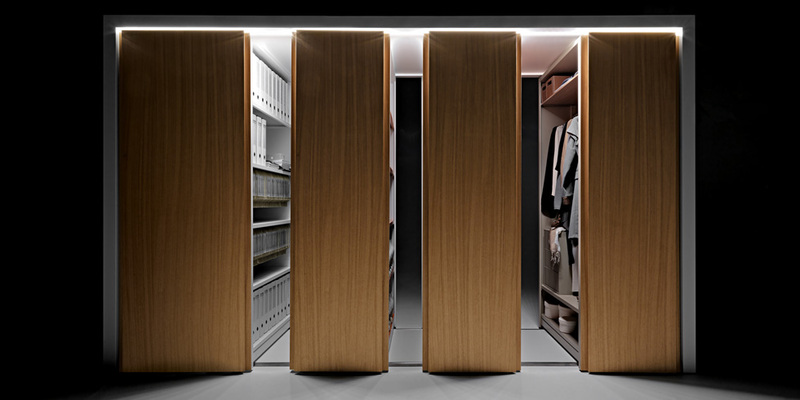 To this end, the mobile shelving modules are designed in such a way that they can be covered with décor panels in different colours and materials, right up to the use of exotic wood veneers. 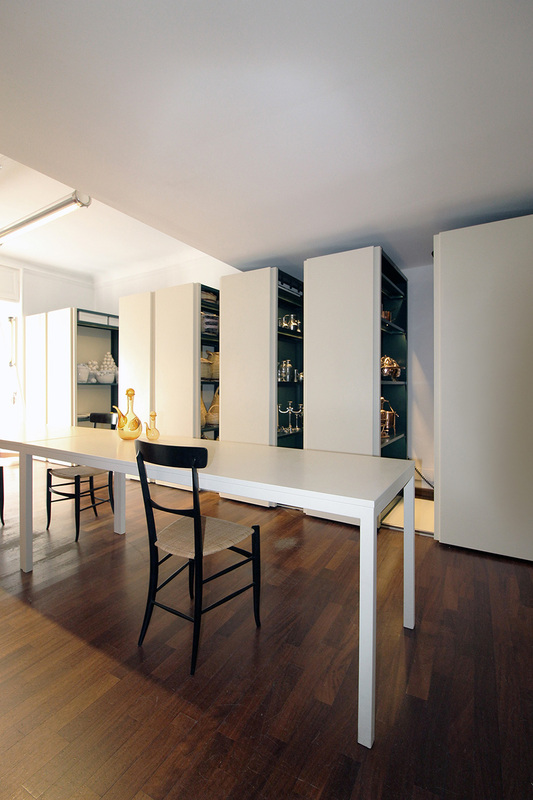 Furthermore, the ingenious method of assembly permits their easy replacement even after a long period of time. 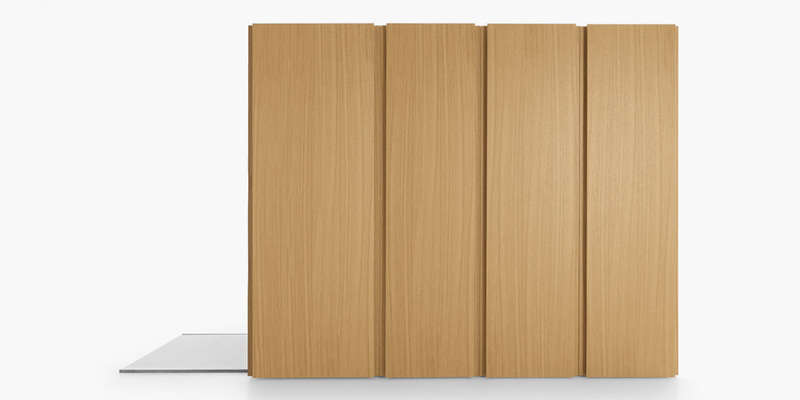 Ergonomic and handily proportioned, the décor panels can also be developed with sound-absorbent qualities, this improving the acoustics of their surroundings, whilst they can also be made into truly decorative surfaces when prepared with the customer’s personal graphic designs. 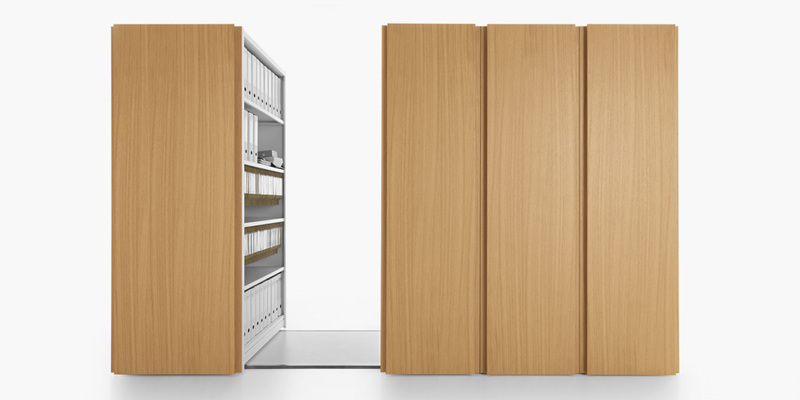 materials metal (wooden optional cover) finishes all Fantin finishes fixed module depth cm 30 / 11.8" mobile module depth cm 60 / 23.6" corridors length cm 80-100-120 / 31.5"-39.4"-47.2" heights cm 214-254 / 84.3"-100"